Recruitment for Irish-based jobs at the business review site is already under way. BUSINESS REVIEW SITE Yelp has announced its to open a European headquarters in Dublin, with the creation of 100 jobs. Founded in San Francisco in 2004, the site had a monthly average of 132 million users by the start of this year. Taoiseach Enda Kenny met with executives at the company at their California offices yesterday, as he continued his three day trade trip to the US west coast. He welcomed the jobs announcement, saying that winning investments “from leading international digital media companies” was an important part of the country’s recovery plan. Yelp CEO Jeremy Stoppelman said the Dublin offices would be “the engine behind our European revenue generation efforts”. Recruitment for the available roles is already under way. Email “More jobs on the way... 100 positions confirmed as Yelp opens Dublin HQ”. 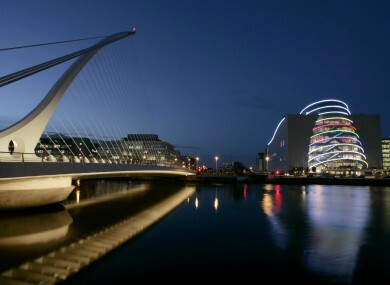 Feedback on “More jobs on the way... 100 positions confirmed as Yelp opens Dublin HQ”.